My name is Aku Dunyo Richter. I moved to Canada 21 years ago from a small farming village in Ghana, West Africa called Dagbamete. My village is very remote, and people who live there often cannot access the healthcare they need in time. Women often die in childbirth because they cannot reach a hospital in time. Young children die of very treatable illnesses because they do not have access to healthcare, or the money to pay for healthcare if they do make it there. 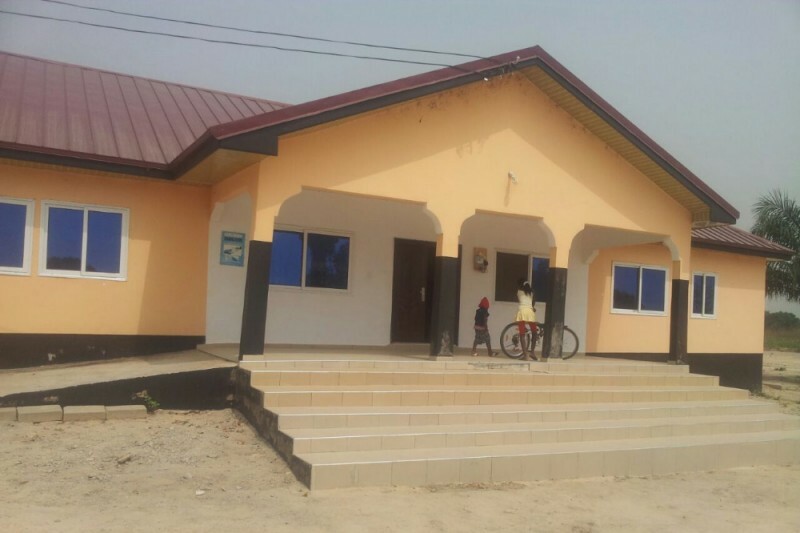 The community have started an initiative to build a medical centre in the village. In order for the government to provide doctors for the facility, they need to provide hospital equipment. Having been given the opportunity to move to Canada, where we enjoy free, accessible healthcare, I feel responsible for the community that raised me. 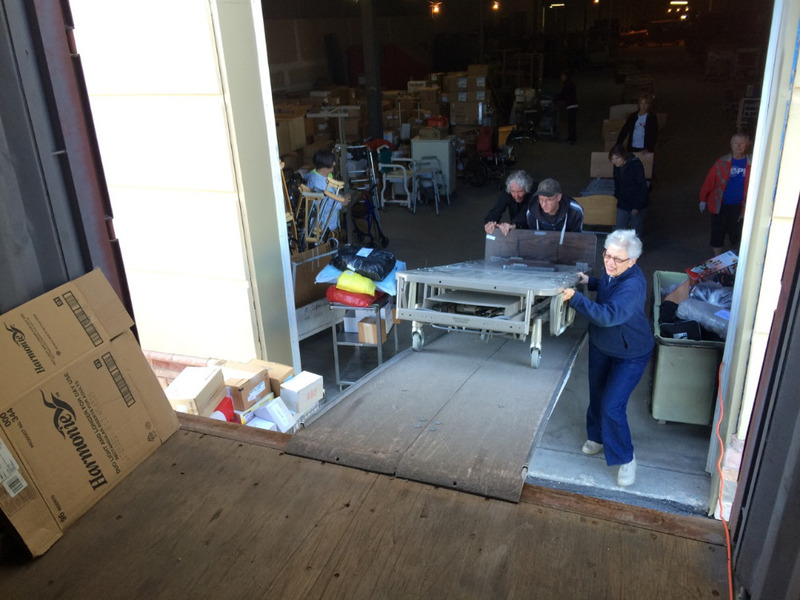 I have sourced hospital equipment from International Hope in Winnipeg, Manitoba and now need a way to get that equipment to the village. The shipping costs are too high for me to take care of on my own, so I am asking for help. This shipment is set to leave Winnipeg on September 17th. I know two weeks is not long, but I believe that with your help I can raise the money in time, and we can give Dagbamete something that we all have come to take for granted. To learn more, please visit www.dagbamete.org. Your donation could save lives. Thank you in advance for your generosity. Hello my beloved beautiful family and friends! OMG! Our first baby steps have become a big step! Our dreams are becoming a reality!!! I'm so excited that my joy becomes tears! As I write you this, I can't help to picture the joy in the eyes of the elders of Dagbamete! To all of you, who believed in our dreams, who have fought on our behalf, I want to take this opportunity to send our gratitude on behalf of the elders to Muriel Chisholm and the entire team at International HOPE!! And to our dearest friend Dr Robbie Chase for his unbelievable dedication, never giving up! To my dear husband for his ever ready commitment to our village. To our dear sweet daughter Emma for setting up our fundraisng campaign. And to all of you who have joined in this journey to help pay for the cost of shipping the 40 foot container to Dagbamete, no matter how big or small the donation! Although we are still a bit short to reach our goal to pay for the cost, WOW! We did it!!!!!! and congratulations to you all. We couldn't have start this journey without you! I am still in disbelief! On behalf of the people of Dagbamete I thank you with all our gratitude!! 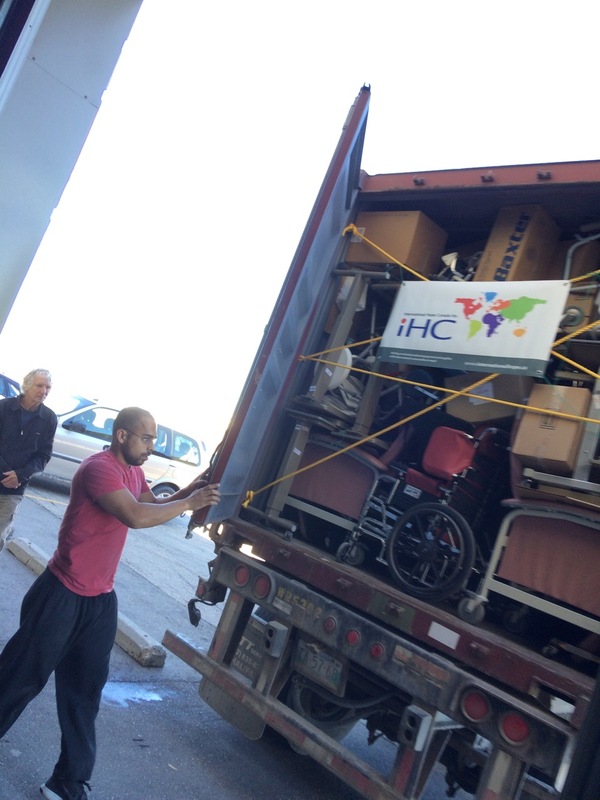 More photos will follow later as soon as the shipment reaches the village. With much blessings and light! Every bit of space was filled! Sunny greetings from Goodwood Ontario to all my beautiful friends and family wherever you are at this moment in time. I have been away for a while and wasn't able to update you on how we have been doing with our fundraising! Up to date we've raised $ 4,616 plus $ 2,100 in cash donations!!! We still have a little bit to go in other to reach our overall goal and I know with your help we can still do it together to bring health care to the most vulnerable in the village of Dagbamete!!! 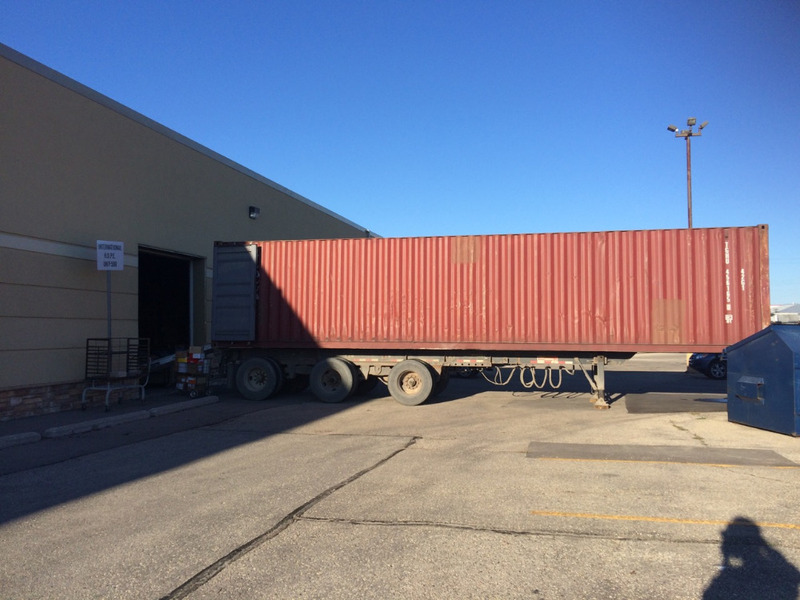 The 40 ft container of the donated equipment will be loaded on the 17th in Winnipeg and leave for Ghana on the 19th of this month! I'm very excited about this and I wanted to make sure you get all the updated info on where we're at on that as well :-). Of course we will send you photos when the container is being loaded and also when it gets to Ghana so everyone knows where their hard earned money is going. Watch out for info and pictures to come! On behalf of the people of Dagbamete we thank you all for your support on this journey :-). Thank you for being on board!!! What an incredible journey, I'm so glad and grateful to be walking it with you:-) We are now up to $6,466......!!! We still have a week to go so please let's all keep spreading the word!!!! I have an amazing story to share. Days for Girls Canada heard of our project and decided to join by donating 200 menstruation kits for all girls in the village!! Typically girls stay home during menstruation to avoid embarrassment and these kits will help girls stay in school with confidence. This donation is worth $2,000!!! And what incredible work they are doing! You have to be a girl from developing country to truly appreciate their work! Please take the time to check them out at http://www.daysforgirls.org. You will be amazed what good work this organization is doing.